Thermasheath®-3 is available in thicknesses from 1″ to 4″ and in several lengths including custom lengths within manufacturing limits. 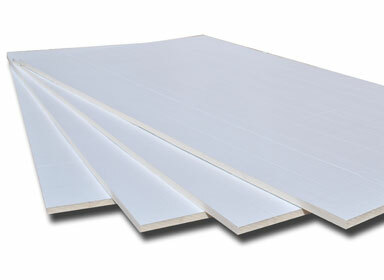 TSX-8500 Series is an energy-efficient rigid foam plastic thermal insulation board composed of closed cell, polyisocyanurate foam bonded to a glass fiber reinforced heavy 1.5 mil aluminum foil facer on the exposed side of the board. TSX-8500 is available in a variety of thicknesses and lengths to suit your specific application. 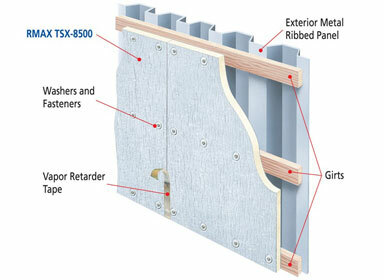 TSX-8510 thermal insulation board is composed of a polyiso foam core bonded to a glass fiber reinforced 1.5 mil white aluminum foil facer on the exposed side of the board. We offer a full line of Rmax board products, so contact your Therm-All Representative, or call 888-2INSUL8, to find out which Rmax product fits your next project. 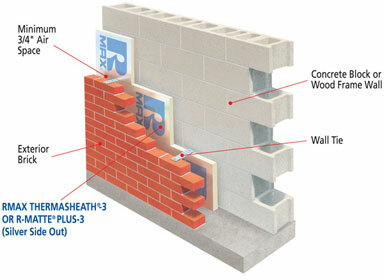 Click here for more information about LEED credits with Rmax.